Cardinal Muller relates that one day he received notice that three of his best priests for the Congregation of the Doctrine of the Faith (CDF) were summarily dismissed by Pope Francis without notice or explanation. This episode highlights the tension that must have existed between Pope Francis and his then doctrinal chief, Cardinal Muller. When the Cardinal repeatedly sought out an explanation from the Pope regarding these sudden dismissals, the Pope finally responded by explaining – essentially – that he’s the Pope! 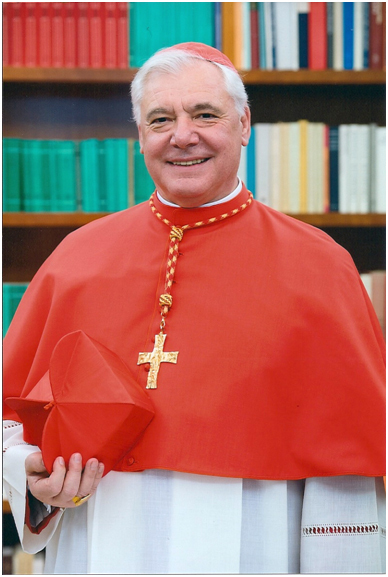 Cardinal Muller, whom Pope Francis would ultimately replace with the Pope’s confidant, Archbishop Luis Ladaria , then had to come up with a game plan to corral in the errors in Amoris. The Cardinal’s essential plan was to contend that there were no changes in doctrine in Amoris as long as the exhortation was read or interpreted through the previous teachings of the Magisterium. In other words if the famous footnote 351 in AL seemed to say rather clearly that there were circumstances where a divorced and civilly remarried Catholic could receive Holy Communion without an annulment, this interpretation was erroneous since it contradicted the Magisterial teaching which preceded it. This was the Cardinal’s essential strategy for all potential errors in Amoris. Thus Cardinal Muller wrote in a book introduction that if it appeared that the Pope was denying hell in AL 297, such interpretation is invalid because the Magisterium teaches the doctrine of hell; and if it appeared that Pope Francis was adopting a classic Protestant understanding of justification in the highly controversial Chapter 8 of AL, such interpretation is invalid because it conflicts with the Catholic understanding of justification. Consequently, if theologians complained that AL 301-303 smelled of situation ethics, one could anticipate that Muller would say that it ain’t so – because the Church has condemned situation ethics (in Veritatis Splendor). Muller’s strategy worked for a while, and thus made it seem that Amoris Laetitia wasn’t so bad after all – just stick to an orthodox interpretation. The difficulty here, of course, is that one could say that Martin Luther (or even, as an exaggeration, Frederick Nietzsche) passes theological muster if interpreted and strained through the filter of Catholic orthodoxy. The big problem for Cardinal Muller has been that he does not control the ultimate narrative for Amoris (although he tried). The narrative for AL was (and continues to be) under the control of the Pope – the Pope who apparently rejected Muller’s doctrinal concerns over Amoris; the Pope who ended up letting Muller go; the Pope who clearly decided to color outside the lines of Catholic orthodoxy, setting forth in AL what his collaborators have termed a “paradigm shift” in Catholic morality, which was the intended purpose of AL from the beginning. Now as Cardinal Muller fades into the background, some of Pope Francis’ collaborators are relying on Amoris to potentially justify blessing homosexual unions, and others to justify Protestant spouses of Catholics receiving Holy Communion (of course, after due discernment). All of this would appear strangely blasphemous to orthodox Catholicism, but Cardinal Muller’s decoy – his strategy – no longer seems to be working. Thomas L. Mulcahy, M.A., J.D. I use the word “decoy” in the sense of a prudent strategy under difficult circumstances or permissible decoy. Naturally, it is quite commendable that Cardinal Muller has courageously tried to protect the deposit of faith, and, in particular, Catholic morality. Perhaps, in hindsight, a better strategy would have been to point out the errors in Amoris Laetitia from the get-go. Any ads appearing in this note are by WordPress and not CatholicStrength.